Redcap strides along the path to the snow goose airstrip. He’s on his way! The job he’s dreamed of for weeks and months and years. Working with the greatest elf of them all. Redcap is a hard working young elf who wants nothing more than to work at the North Pole and to meet the greatest elf of them all – Santa Claus. Getting a job doesn’t prove too hard – but keeping it might prove more than a little difficult, especially with the kind of help his new friend Jellybean has to offer. There’s a week to go until Christmas and it seems that every day has a new challenge for Redcap and the other elves. Will he keep his job and get to meet Santa? 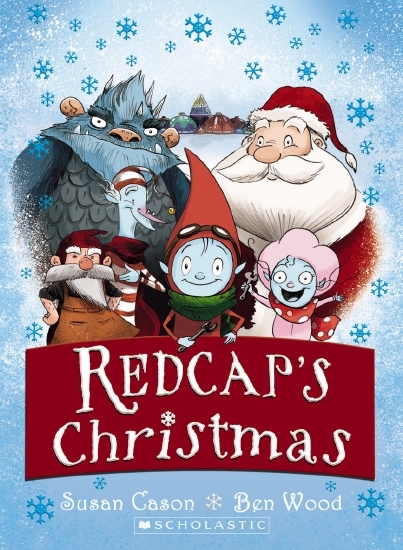 Redcap’s Christmas is a delightful Christmas offering for young readers, following Redcap’s adventures in the lead up to Christmas. Each chapter is a new adventure, seeing a new problem arise at Santa’s workshop, with Redcap playing the leading role in coming up with a solution. Although suitable for solo reading, it is easy to see this being read aloud one chapter per night as a pre-Christmas treat. Illustrations are a mix of grey scale images on most pages, with one full page coloured illustration at the beginning of each chapter, and the hardcover format makes for a sturdy offering, perfect for a gift. I’m a big bad bush-bushranger. Wombats aren’t known for their bushranging, but the main character of Big Bad Bushranger is a wombat, and a very successful one at that. He hides in a cave in the hillside but far from roughing it, this hillside cave is the entrance to an enormous treasure trove and luxurious cave system. Wombat revels in his job and his wealth, sharing it with a large group of Aussie animals. There’s his girlfriend, Gayle, other wombats and myriad other creatures. Ben Wood’s illustrations are in loose water colours and celebrate the sense of playacting embodied by the text. Even the victims set upon by this bad bushranger look like they’re part of the adventure. Bushrangers were a well-documented part of Australia’s colonial history. Some were revered as champions for the underdog, while others were less heroes. Bob Brown’s bushranger falls into the former category, this ‘big, bad, bush-bushranger’ seems to be a good-natured fellow despite his deeds. All the characters are Australian animals, though they live in people houses in people towns, ride horses and travel in stage coaches. Wombat’s story is told in rhyme and there’s a music score at the front for performance. 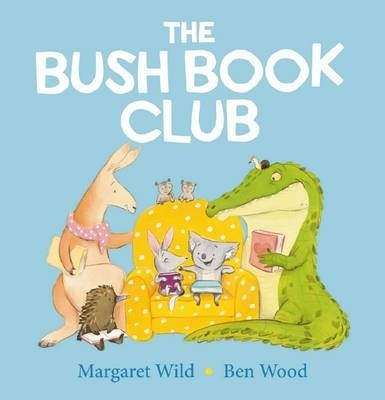 The text has an easy rhythm and listeners will soon be joining in with the refrain on each page of ‘I’m a big bad bush-bushranger’. Recommended for 5-7 year olds. ohn Williamson sang it, and Don Burke’s television series ‘Burke’s Backyard’ used it as the theme song. In this almost-square hard cover book the familiar song/rhyme is illustrated by newcomer, Ben Wood. Circles on the front cover and inside the back cover suggest a CD, but there isn’t one. In the illustrations, the reader shares in the homecoming of koala and sugar glider as they disembark the plane after their overseas trip. Snaps show where they’ve been, and an old ute conveys them and their gifts for the final leg of their trip home. Their welcome is riotous and wild, calming to a final spread showing possum accompanying a final chorus. This new ‘Aussie Gem’ series from South Australia’s Omnibus books includes well-known songs and some old stories given an new Aussie twist. Give Me A Home Among The Gum Trees uses two of the four verses and the chorus as a backdrop for a story told entirely in the illustrations. Ben Wood’s delightful watercolour images are full of life, making it very easy to ‘hear’ the bush cacophony suggested. There is a cheerful magpie to find on every page, and myriad other Australian animals to discover. Young pre-readers will be able to follow the narrative without knowing the words. Older readers will enjoy learning this iconic Australian song. There are ‘flock’ sheep on the front cover, just begging to be stroked. 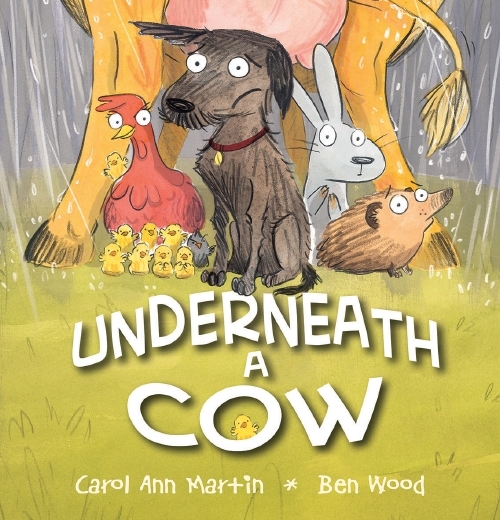 Recommended for pre- and early-primary children.